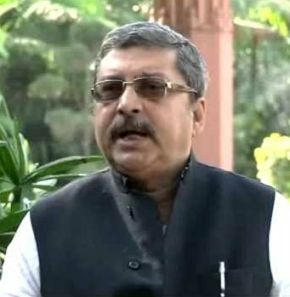 Trinamool Congress member Kalyan Banerjee was on Tuesday under fire from Bharatiya Janata Party and Left in Lok Sabha for his alleged objectionable remarks against Prime Minister Narendra Modi, leading to uproar and threat of censure motion being moved against him if he did not apologise. “It appears Banerjee is adamant. If he fails to apologise, we will be forced to bring a censure motion against him,” Minister of State for Parliamentary Affairs Rajiv Pratap Rudy said. His remarks came after S S Ahluwalia from the BJP objected to certain controversial comments made by the TMC MP against Modi and also against late Prime Minister Lal Bahadur Shastri at a meeting in West Bengal. Without taking the name of Banerjee, who was present, Ahluwalia wanted the member to express apology in the House. He said it was unbecoming of the member to have made remarks against Shastri whom the nation still remembers fondly for his work and ‘jai jawan jai kisan’ slogan. The member has shown temerity of talking about the likes of Shastri and his progeny which the nation will never tolerate, Ahluwalia said, demanding a censure motion against the member. Communist Party of India-Marxist member Mohammad Salim was quick to support the BJP member recalling controversial remarks of another TMC member Tapas Pal. Sreemathi Teacher, also of CPI-M, too supported it, contending that no member should speak such a language either inside or outside Parliament. Parliamentary Affairs Minister M Venkaiah Naidu said it is in the interest of Banerjee and his party that he expresses unconditional apology. Naidu was the first to take the name of Banerjee and claim that the TMC member had two days back said people in 2019 will slap Modi and send him back to lanes of Gandhinagar from which he will never be able to return.